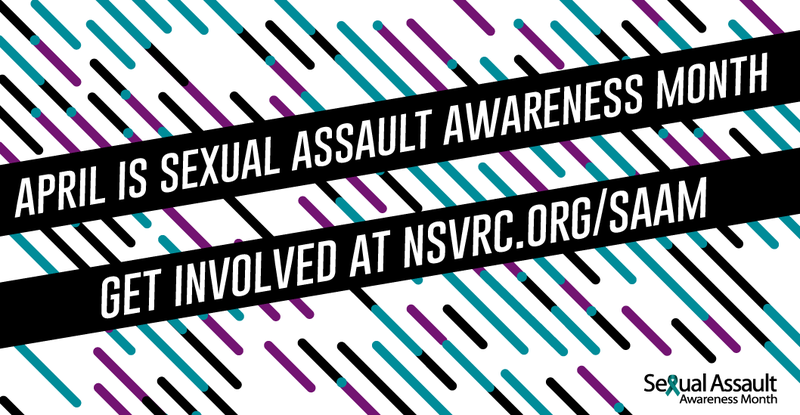 Sexual assault and intimate partner violence are not just private issues. These acts of violence affect all of us, and we have a responsibility to decide how we will respond to reduce the incidence of harm. When I was a senior in high school, my prom was at the Roof Deck at the Spokane Convention Center. My date was a friend of mine and we went with a group of friends. We all had a good time. At the end of the event, another friend of mine – the daughter of my parents’ good friends – approached me and said her date and his friends were going to some sort of after party at somebody’s cabin in Hayden Lake, Idaho. She told me privately that she didn’t feel comfortable going so far away with a group that she was unfamiliar with. She just had this gut feeling that it’d be a bad idea to join them – she could find herself in an unsafe situation. I decided right away that I needed to take her back to her house because I could tell she was nervous and felt out-of-place. She was 16 and her date was 18. The group I was with didn’t have any post-prom plans – I was only planning on taking my date back to her house. Knowing this, I offered to give my nervous friend a ride to her house before taking my date to hers. She was relieved and simply told her date she needed to be back at home. He didn’t pressure her, but I know she was happy to be going somewhere safe, which was most important. Most of all, her mom appreciated what I did. She called me the next day to thank me, which was gratifying. Of course, we still had a month of school left, and we all crossed paths multiple times, but thankfully no issues arose. The whole situation was handled in a mature manner. This is one example of how anyone can respond to potential threats of harm. As our last blog showed, there are appropriate ways to respond to those affected by sexual assault and intimate partner violence. There are also ways that we can be effective bystanders by intervening when necessary, and hopefully reducing the possibility of harm. Just as Kevin was willing to take action, there are some behaviors we can all adopt to become effective bystanders. Creating a sense of responsibility – The Green Dot Bystander Intervention program has a saying: “No one can do everything, but everyone can do something.” The key here is knowing that each of us has a responsibility for recognizing what is happening around us and responding. We have a responsibility to our friends and family to respond when they are potentially in danger. When you accept a sense of responsibility for the world around you, you are more likely to get involved. Seeking out knowledge – You cannot take action if you do not know how to recognize dangers, aspects of healthy and unhealthy relationships, appropriate responses, or the availability of resources in your community. One place to begin to increase your knowledge is our first blog that reviewed healthy and unhealthy relationships. You can also find many other useful resources on the web and in the community. The YWCA and Lutheran Community Services are both excellent resources in the Spokane community. Our final blog in our series of blogs on this topic will also have a list of resources. Developing awareness – Be aware of your surroundings. Are you aware of what is happening around you? If you see something, you may need to say or do something. Building skills – It is not always easy to know when to intervene or how to do so. There are opportunities to learn about becoming an engaged bystander and how to intervene in appropriate and safe ways. WSU Health Sciences is developing workshops on this topic and will start hosting them on a more regular basis in the new academic year. Taking action – As you grow in each area listed above, you may become more aware of what is happening around you. The time may come when you need to respond to a situation. When considering taking action, you do need to consider your safety as well as the victim’s. In some cases, the best response may be to call the police. In other cases, you may want to intervene indirectly or directly. It is important to note that taking action does not always need to be something direct or confrontational. Let’s review Kevin’s story from above. In this case, listening and believing the concerns of a friend coming to him and saying she felt uncomfortable or in danger, and then helping her get out of the situation, were the essential actions. Kevin heard his friend’s concern and he helped remove her from a situation that she believed was dangerous. His response was to believe her gut feeling and to help her get out of a situation that could have been dangerous for her. Action does not necessarily mean putting yourself or others in harm’s way. There is a lot of work we need to do to make our communities safer. None of us can sit on the sidelines if we want to achieve this goal. This means that all of us can be active participants in combating sexual and domestic violence. What that looks like for each of us may be different but like Green Dot explains, we can all do something.